Besides threatening that the stock market will crash if their massive corporate tax cuts are not passed, Treasury Secretary “Moe” Mnuchin did a little back tracking in his sales pitch that the rich would absolutely not get any tax cuts. He now says it’s very hard not to give tax cuts to us the wealthy. Which tells me that Curl and Moe had not looked at the tax issue until this week. Because just two weeks ago on 28 September “Curly” Cohn was still insisting that “the wealthy are not getting a tax cut under our plan,” in defense of the Donald’s proposed (on the back of a bar napkin) overhaul of the tax code. I wonder if the Donald knows this alternative fact about his tax plan yet. Moe also likes to quibble. He likes to remind us that he “the top 10 percent of the people pay 81 percent of the taxes.” He of course is only talking about federal income taxes since social security taxes are such a pittance for the super rich. Which means that when you add in social security taxes, the bottom 90% are paying the same total taxes (income and payroll) as the top 10%. Since the top 10% are making the same total income as the bottom 90% one wonders why he thinks the rich should pay less than half the taxes? If you include sales tax the bottom 90% are paying a higher overall effective tax rate. Middle class double earner families pay much higher effective rates than the top 10% all things considered. I would say the reason the two lines are converging in the first place has a lot to do with the last tax reform pushing more taxes on the bottom 90% to the benefit of the top 10%. And oh no, Reagan’s tax reform did not help the economy grow faster. Reagan’s economy grew at the same rate as Jimmy Carter’s. He just simply shifted the tax burden. So I wonder if these two very rich former Goldman Sachers told the Donald he could easily cut payroll taxes for the middle class to achieve the President’s objective of helping the middle class. Okay, I don’t really wonder. Especially since the payroll “surplus” taxes do not really go into a social security (trust me) fund. The increase in the social security taxes in the 80s was designed to perfectly offset the corporate tax cuts the last time we had major reform. Reform is always about who pays more and it is not the guys with the lawyers and lobbyist. It also appears that Curly and Moe have not talked to each other at all about how to make it sound like they spent more than 10 minutes thinking about the middle class or small businesses. “Curly” Cohn just explained in an interview that the estate tax is really all about small farms and business while Treasury Secretary “Moe” Mnuchin conceded at the Institution for International Finance Conference last week that cutting the estate tax disproportionately helps rich people [heirs]. “Curly” Cohn explained his deep concerns that “the estate tax really hits [dead] farmers, and we don’t want to hit farmers [with estate taxes]”. Curly, I think the Moe is right on this one since the bipartisan Tax Policy Center tells us a whopping (say it isn’t so) 80 small farms and closely held businesses will pay estate taxes in 2017 – only eighty! So let’s save those 80 small farmers (worth over 11.4 million dollars) by not taxing the other 5,500 super rich people either. Of course, to pay for the loss of $30 million dollars of estate taxes on these poor small farmers’ heirs, the Donald plans to cut $4,800 million in farm subsidies each year. Which by my calculations, leaves $4.77 billion for tax cuts for the super rich people that Moe is talking about. Hmmm. I always thought estates taxes were to keep America from becoming an oligarchy of misfit spoiled heirs, but let’s check in on this double-taxation issue. The Center on Budget and Policy Priorities informs us that the largest estates consist of mostly “unrealized” capital gains that have NEVER been taxed. Good try Moe. And good luck with that tax plan and the stock market crash. 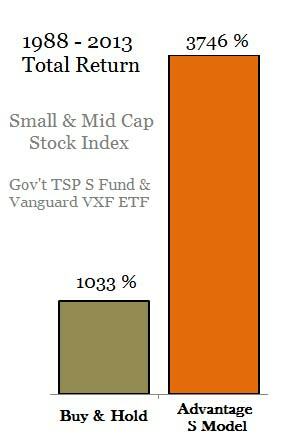 This article absolutely reflects the opinion of TSP & Vanguard Smart Investor. While the so-called tax “plan” may be driving sentiment in the stock market today, I see absolutely little in it that will help the real economy or the middle class. And the planned cuts to the budget amount to fiscal braking. The Treasury Secretary is correct – and on this one point I will agree – the stock market should crash in the next year. Of course the central banks will try to save it again which tends to enrich the super rich far more than some lousy tax cut ever could.